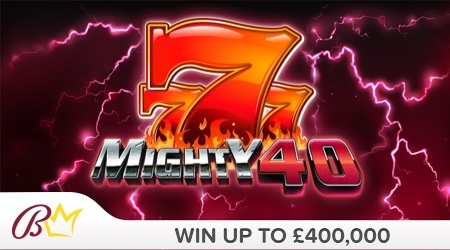 Get your shot at £400,000 from £1 per scratchcard with Mighty 40! Simply match any three symbols to win on this no-nonsense game that boasts massive prizes. Return to player rated at 58.74%.